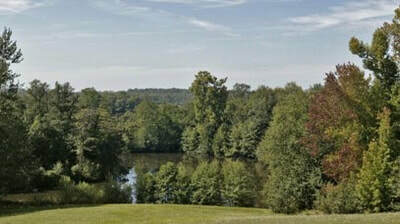 Between Angouleme and Limoges, on the brow of a hill with panoramic views over the surrounding area, a neo-Renaissance Chateau dating from 1870 * set in 14ha of superb parkland with lake and 18ha of cherry, oak and Douglas pine. 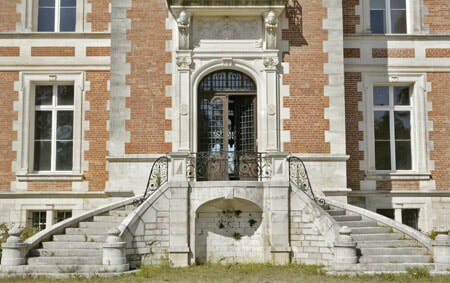 Of rich and refined construction, the chateau comprises on the ground floor : entrance via horseshoe steps, entrance hall 4.2m x 7.9m with flagstone floor and lovely stone staircase leading to upper floor. 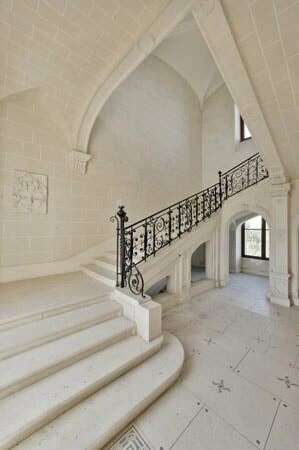 Stairwell 4.2m x 7.9m with flagstone floor and lovely stone staircase leading to upper floor. Superb reception room 115m2 with beautiful marble fireplace, plasterwork and parquet floor. Dining room 55m2 with superb woodwork in Hungarian oak, attractive fireplace, parquet floor and coffered ceiling. 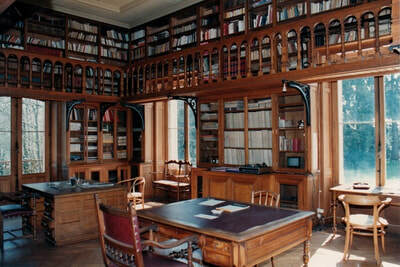 Stunning library 6m x 8m with magnificent woodwork, gallery, small spiral staircase and fireplace. 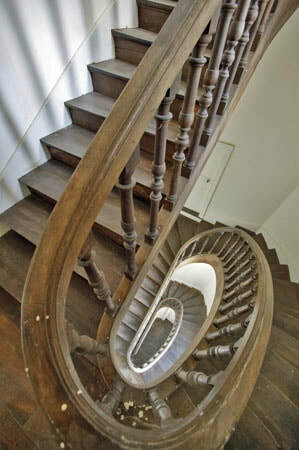 Kitchen in one of the round towers with fine wooden staircase leading to upper floors. 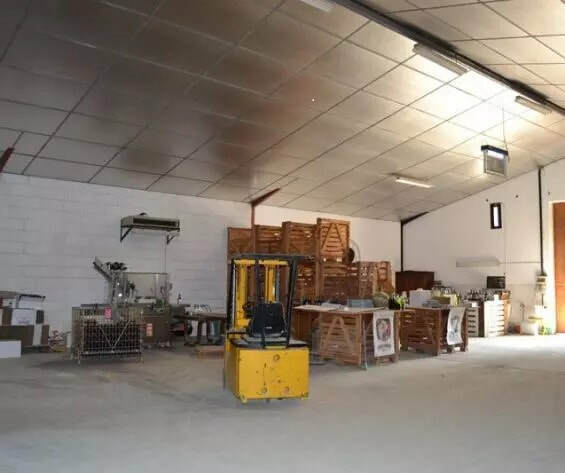 Several large rooms in need of completion, offering approximately 220m2 of living space in all. Third staircase leading to upper floors in the second round tower. 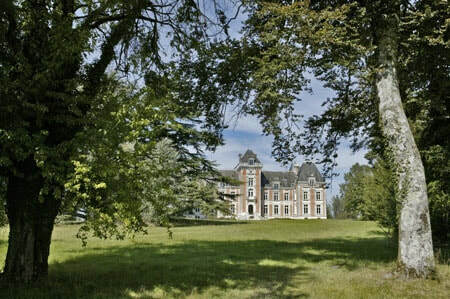 On the first floor : spacious landing and long corridor leading to all rooms. Reception room 33m2 with angled fireplace. Fitted kitchen, 9 bedrooms, 6 bath/shower rooms, 2 WCs. 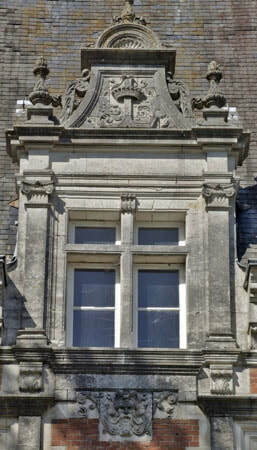 On the second floor : 14 rooms, of which several converted to bedrooms and the rest in need of completion. On the third floor, 3 rooms in the tower. On the fourth floor : a room in the central tower. 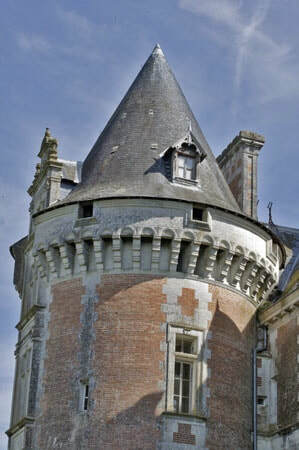 Vast cellars run beneath the entire chateau, and contain the boiler room and a chapel. Central heating, partly by radiators and partly by a forced-air system. 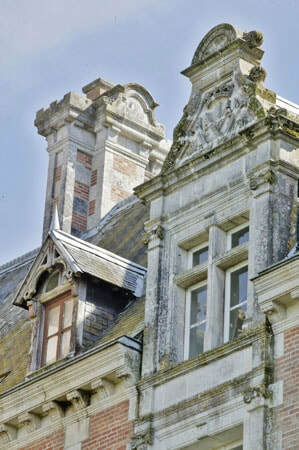 Extensive commons, outbuildings and caretaker's lodge in need of renovation - all in the same style. 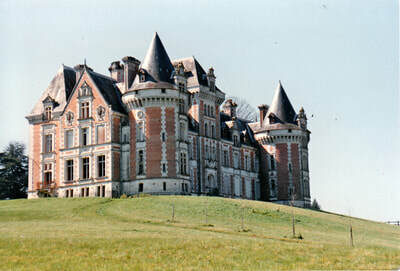 The chateau was a meeting place for members of the French resistance during world war II. A harmonious and attractive property offering a range of possibilities. 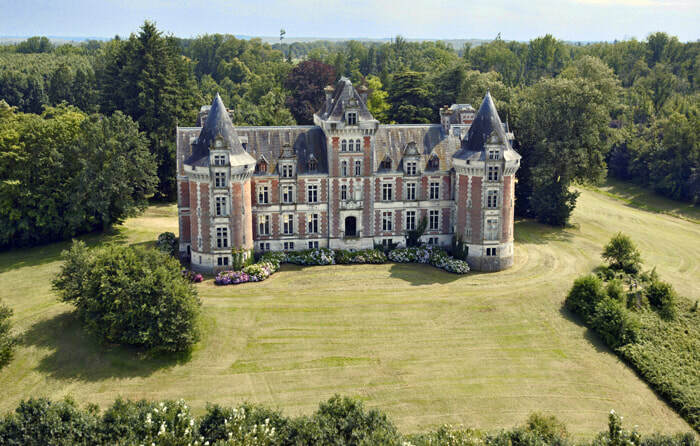 * The château stands on the site where the original chateau was built by King Henri IV for one of his favoured families / friends in the 16th C. The chateau was rebuilt by his descendant around 1870 when he was the advisor of Emperor Napoleon III. Entre Angoulème et Limoges, sur hauteur avec vue dominante sur les alentours, Château de 1870 dans le style néo-renaissance, entouré d'un superbe parc de 14 ha avec 2 étangs et 18 ha de merisiers, chênes et pin Douglas. ​Le château est une construction riche et raffinée. • superbe salon de 115 m2 avec belle cheminée en marbre, gypseries et beau parquet. beau parquet et plafond à caissons. 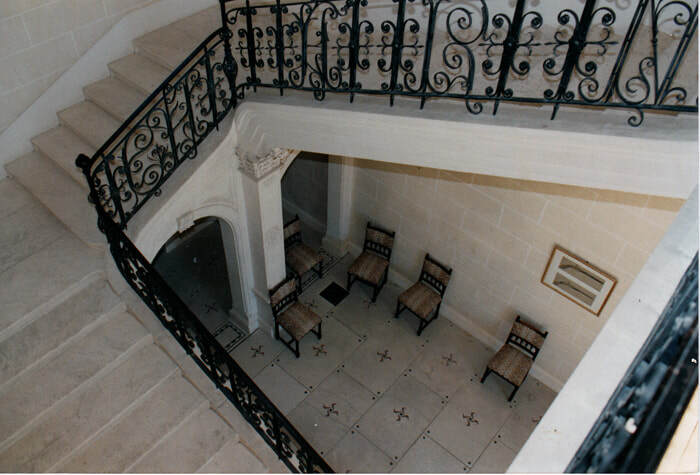 • cuisine dans une des tours rondes avec bel escalier en bois menant aux étages. 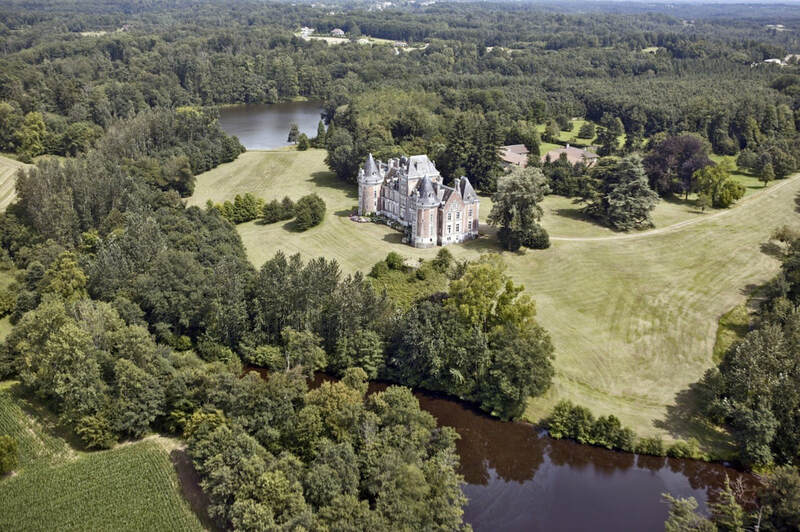 • plusieurs autres grandes pièces à finir d'aménager d'une superficie de 220 m2 environ. • 3° escalier dans l'autre tour ronde menant aux étages. 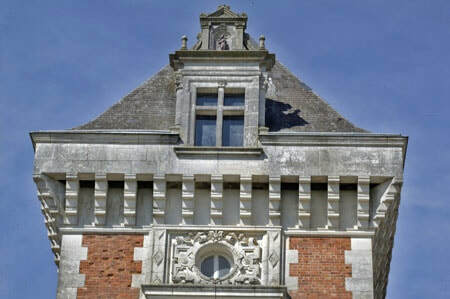 • grand palier et long couloir desservant toutes les pièces. 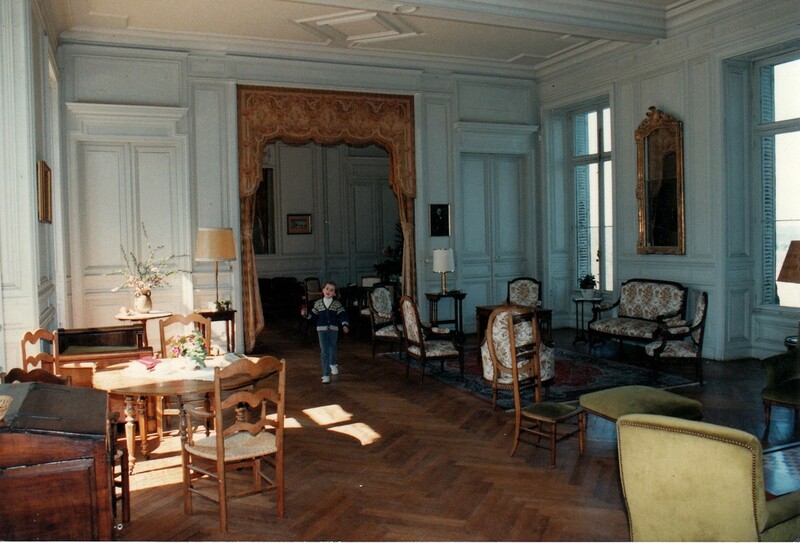 • salon de 33 m2 avec cheminée d'angle. • 14 pièces dont plusieurs aménagées en chambre, le reste à aménager. 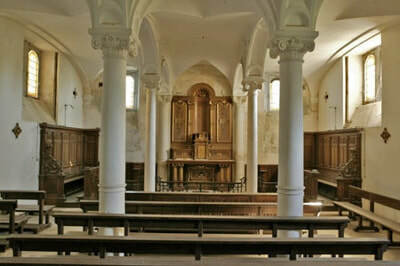 • 3 pièces dans la tour. • une pièce dans la tour du milieu. Chauffage central, une partie avec radiateurs, l'autre partie à air pulsé, à revoir. 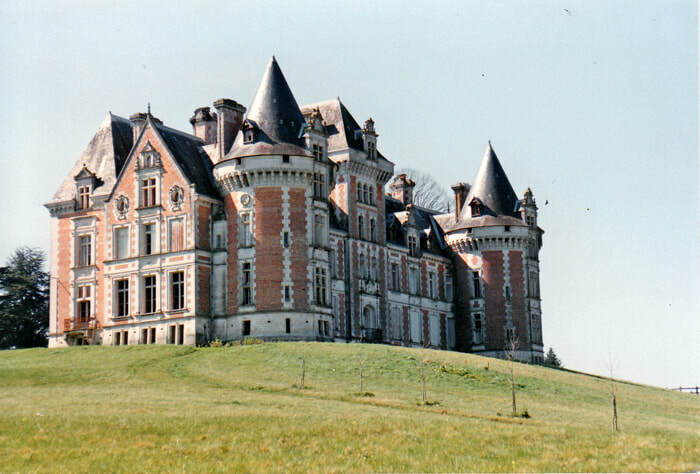 Vaste communs, dépendances et maison de gardien à aménager, le tout dans le même style. 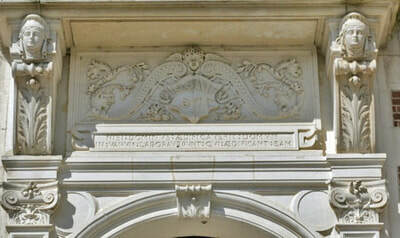 Ensemble harmonieux offrant de nombreuses possibilités. 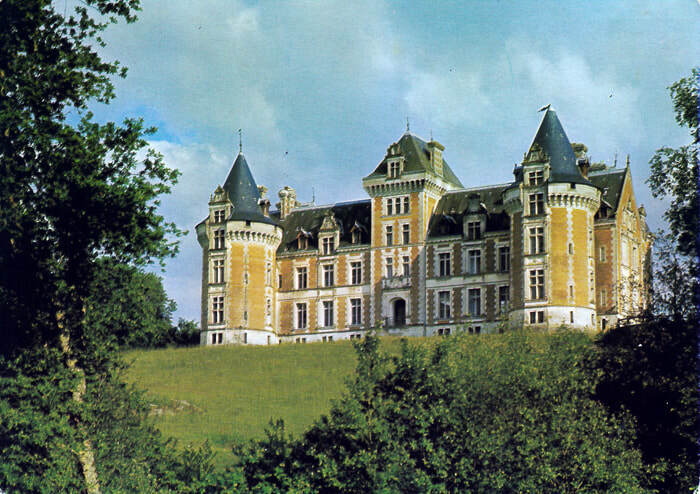 * Ce château construit au 16eme siècle pour un des favoris du roi Henri IV, le château fut remodelé et amélioré par son descendant aux alentours de 1870, alors qu\'il était le conseiller de l\'empereur Napoléon III.